MSEnet Version3: s p l a s h ! ELCOME TO MSEnet Version3! 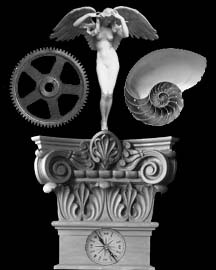 This is the personal web site of Michael S. Ellars, dedicated to architecture and the "allied arts." Inside, you will find an array of tools and information, as well as a plethora of personal tidbits on MSE himself. Though this site is primarily directed towards the architecture student, all visitors are welcome: Version3 strives to create something more than the ordinary personal web site: it is intended to be an experience. Care to enter my world? Certain features on this site optimized for . See the MSEnet Colophon for more information. Watch out! Changes are afoot!